Minley Manor is a house built from the riches of the banking industry. It is typical of a large country house built from the excesses of Victorian wealth that would eventually become surplus to requirement between two World Wars. This Grade II listed house was built between 1858 and 1860 by Henry Clutton (1819-1893) for Raikes Currie (1801-1881), a partner in the banking firm of Curries & Co and later with Glyn, Mills, Currie & Co. He was also a former MP for Northampton. Minley Manor suffered a serious fire In January 1870 in which the south portion of the house and the clock tower were totally destroyed. A large portion of valuable furniture was lost having been moved to that part of the building where the fire originated, whilst the other portion was being renovated. The main part of the house managed to be saved through the endeavours of dragoons drafted in from the Royal Military College at Sandhurst. The house was also the birthplace of British diplomat Sir Reginald Hoare in 1882. Various Prime Ministers stayed at the house as did Queen Victoria. Bertram Wodehouse Currie (1827-1896), Raike’s son, inherited the house in 1884 and made a number of important additions. George Devey (1820-1886) (who had designed Coombe Warren for Bertram between 1868 and 1875) designed a chapel and orangery in 1886, the year of his death. Robert Veich and his landscaper Frederick William Meyer (1852-1906) also developed a winter garden, The Plain, extensions to the pleasure grounds and the Hawley Lake to the east. Bertram had followed in his father’s footsteps and would also become a partner in Glyn, Mills, Currie & Co as well as being a member of the India Council. During the Barings Bank crisis in 1890 his expertise was called upon to work with Benjamin Buck Greene of the Bank of England to investigate the disastrous affairs of the bank..
After his death in 1896 the house passed to his son Laurence Currie (1867-1934) who made a number of modifications to the house and grounds. 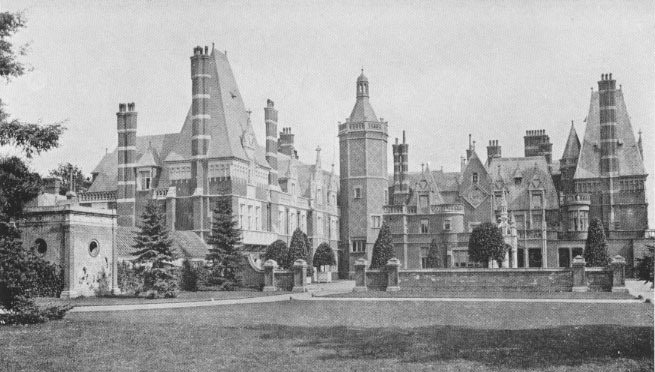 He employed Devey’s chief draughtsman Arthur Castings (1853-1913) to build new lodges, a water tower and a complex of walled gardens. 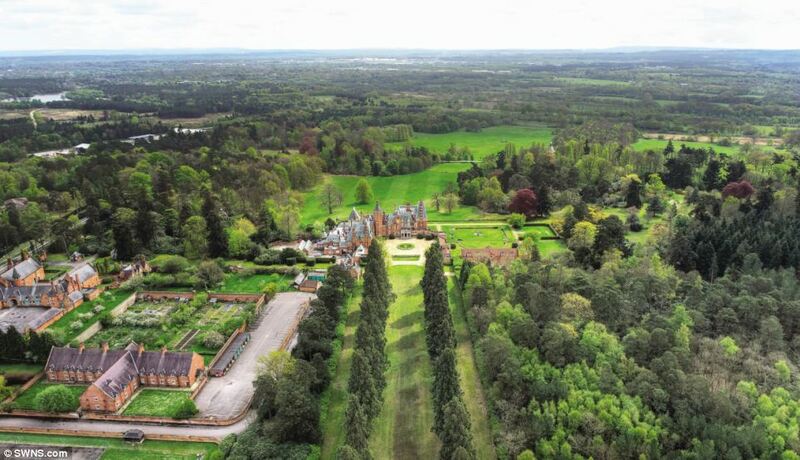 In 1933 Minley Manor was once again threatened by fire but this time it was due to a massive blaze that devastated more than five miles of wooded countryside between Blackwater and Hartley Wintney. More than a thousand soldiers joined fire brigades from Camberley, Frimley Green, Windlesham, Fleet, Bagshot and Hartley Witney. At one stage flames leapt 50 feet from blazing fir trees but they managed to save Minley Manor and also Elvetham Hall, the home of Sir Fitzroy Anstruther Gough-Calthorpe. Laurence Currie died in 1934 but his son and successor Bertram Francis George Currie (1899-1959) had plans elsewhere. 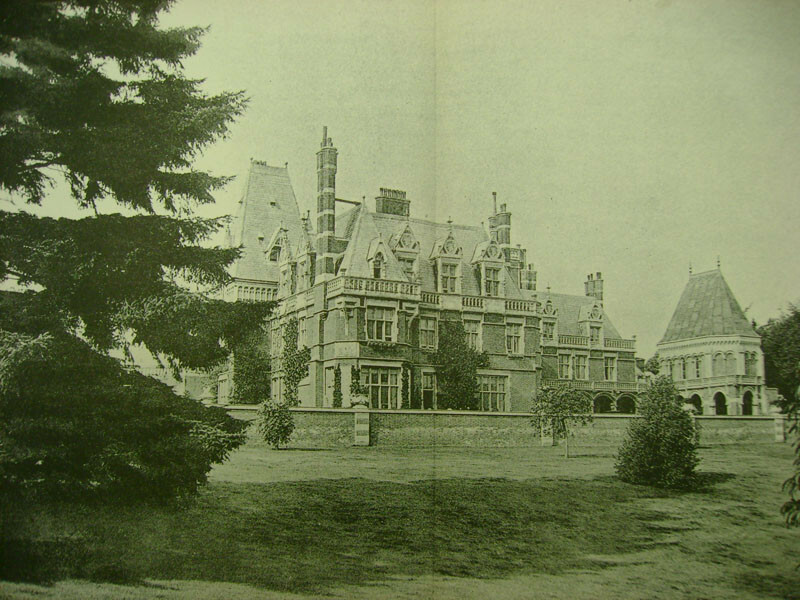 In 1936 he sold Minley Manor and its 2,500 acre estate to the War Office and moved to Dingley Hall in Northamptonshire. Minley Manor became the Senior Wing of the Staff College at nearby Camberley. It was officially opened in January 1939 by Major General the Duke of Gloucester and was home to officers from the British Army, the Indian Army, Royal Navy, the Royal Marines, the Royal Air Force and a number of Dominion regiments. After 1971 it was used as an Officers’ Mess for the Royal School of Military Engineering (the Royal Engineers) units at Gibraltar Barracks. The house was also used for military weddings but became empty in August 2013 when a new mess was built at the barracks. 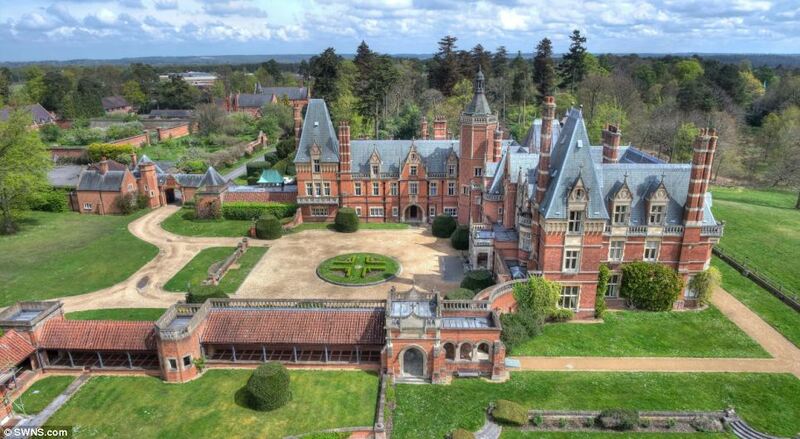 Minley Manor was also used as the backdrop for the 1969 film Mosquito Squadron and Stardust, featuring Michelle Pfeiffer and Robert De Niro. As part of the Government requirement for estate rationalisation, the Defence Infrastructure Organisation (DIO) sold Minley Manor in 2014 for a figure exceeding the £5 million guide price. The new owner is understood to be an international investor but plans for the house are yet to be revealed. Note: In 1864 the banking firm of Glyn, Mills & Co acquired the business of Curries & Co and was renamed Glyn, Mills, Currie & Co. The company would eventually absorb further banks until the company was acquired by the Royal Bank of Scotland in 1939. The brand survived as Glyn, Mills & Co until 1969 when RBS decided to bring together three businesses – Williams Deacon’s Bank, Glyn Mills & Co and the English and Welsh branches of the National Bank. The new company was renamed Williams & Glyn which lasted until 1985 before being rebranded as the Royal Bank of Scotland. The name was due to be revived in 2016 when RBS branches in England and Wales were reported to become Williams & Glyn once again. However, the planned re-branding failed to materialise. I have just been tracing my family tree and found that my my Great Grandaunt, Mary Langhorne was a servant at Minley Manor, owned by Laurence Currie and his wife Edith Sibyl M Currie at the time of the 1911 Census. I believe she was there until her death in 1926.
what has become of this braw building and the extensive grounds? Many a bonny early summer’s morning about six o’clock I would walk in the sunlight from the gate on the Farnborough road to the manor, and think of that braw song from ‘Oliver’ by Lionel Bart – “Who Will Buy this Wonderful Morning”. Even if I kennt there was a load of work to do, those mornings certainly gave me a spring in my step. Recall writing the history of the place and it was a labour of love and would like to revisit to do a more up-to-date version of that history. Be a lot easier this time with the internet.